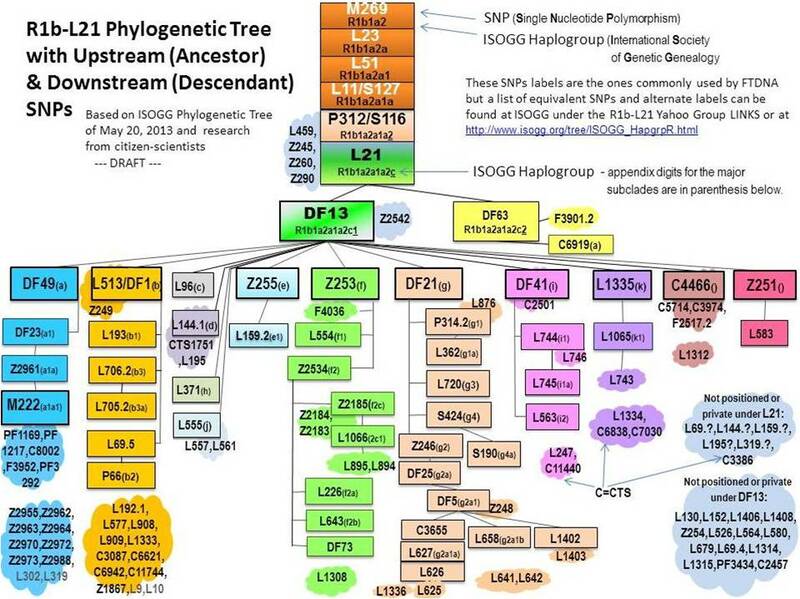 R1b-L21, The Haplogroup that best approximates North Atlantic Celt is defined by the SNP where the “C” at rs11799226 changed to a “G” in a man about 4,000 years ago. Many further SNP subdivisions have recently been discovered, some with geographic localization. Perhaps due to the Scots and Irish cultural interest in genealogy, there has been an explosion of new subdivisions discovered in L21. The map below shows the population of modern males carrying L21 in Europe today. This heavy sampling of Scots and Irish Y-DNA has made some SNPs start coming closer in time to becoming regionally identifiable, and in some cases Clan and surname associated in confluence with STR comparisons.